The European Summer Camp, or “ESC”, project ran in 2010 and 2011. 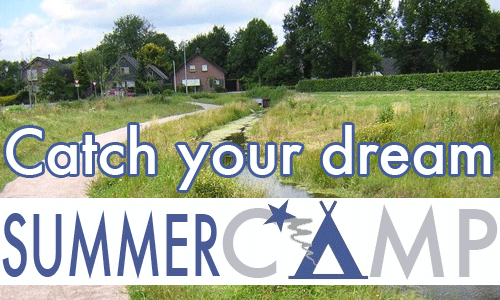 Two international summer camps with the motto “Catch Your Dream” were organized by EFCCA and the EFCCA Youth Group in the Netherlands, and they gathered together dozens of young people with Inflammatory Bowel Disease (IBD) from European countries. By providing such specifically tailored activities EFCCA offered young people with IBD a European and international perspective. Considering that IBD is a “young people’s disease” and that the effects of such an illness on this age group is very strong; we believe that the voice of the young people needs to be heard. They need to be activated and empowered to “catch their dream” and to make them the leaders of tomorrow. offer leisure activities and leadership training. In 2017, during the EFCCA General Assembly, delegates discussed re-introducing the idea of an international EFCCA summer camp and to strengthen the network of summer camps in EFCCA member countries in order to give more young people with IBD the possibility to attend summer camps and participate in Leaders of Tomorrow training. It was decided to set up a camp steering group within EFCCA to start the process of organizing a new international camp. More details will be made available. With the ‘Catch your dream’ project EFCCA wishes to give young people with IBD the opportunity of having a break from ordinary life in a friendly, supportive and safe environment.